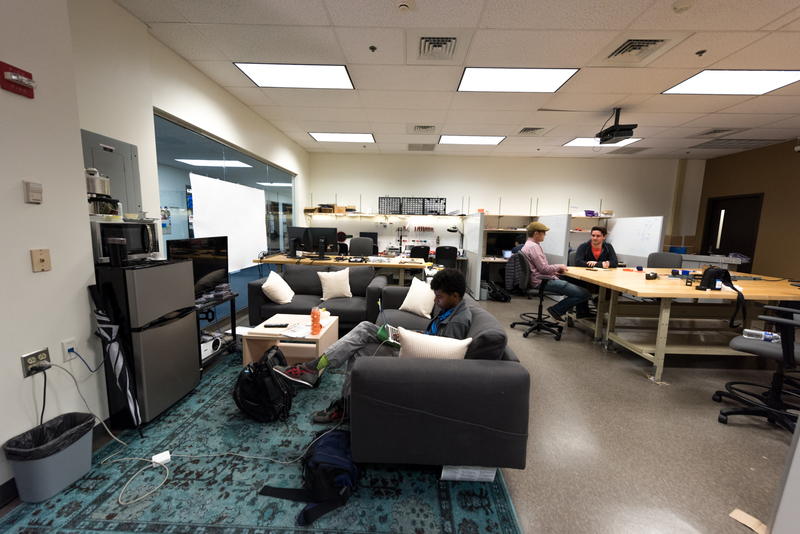 The Future Everyday Technology Research Lab is located in a 930-square foot facility in the Golisano College of Computing and Information Sciences. 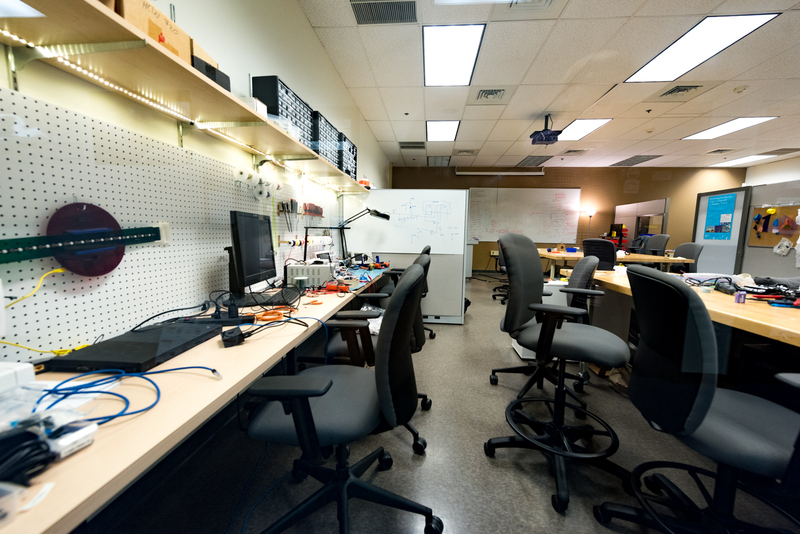 The lab is used for both teaching (see our director’s page for a list of currently-taught courses) and research. 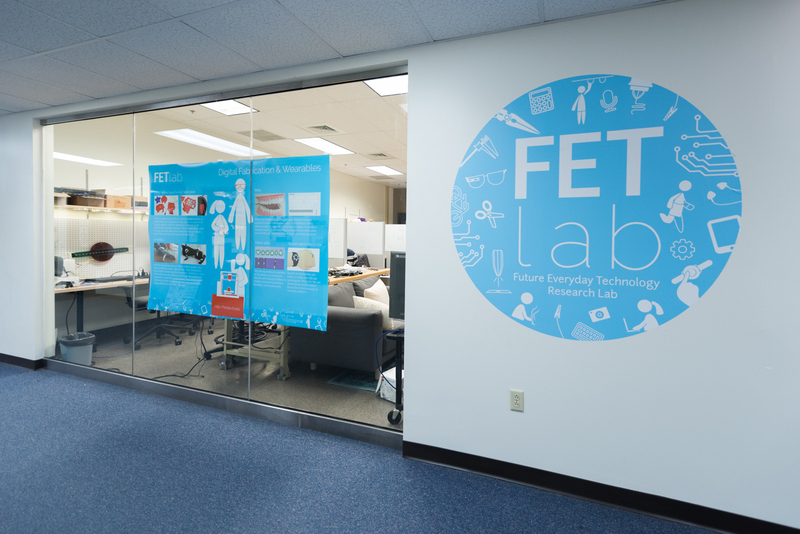 The FETLab is equipped with a variety of fabrication and research equipment, including a Universal laser cutter, multiple 3D printers, an electronics prototyping area, three sewing machines, a small-scale CNC router, and many and various hand tools. 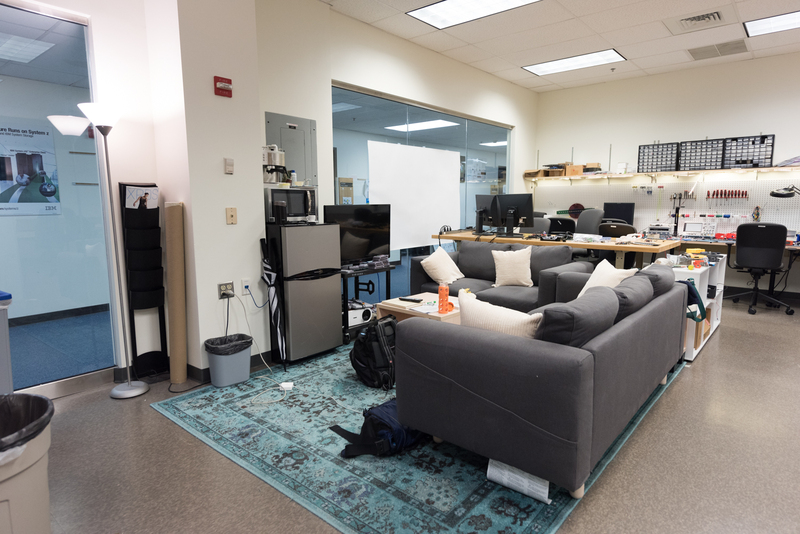 The lab also features a “café” area with fridge, microwave, TV, Super Nintendo, couches, and a Spotify-linked wireless speaker. 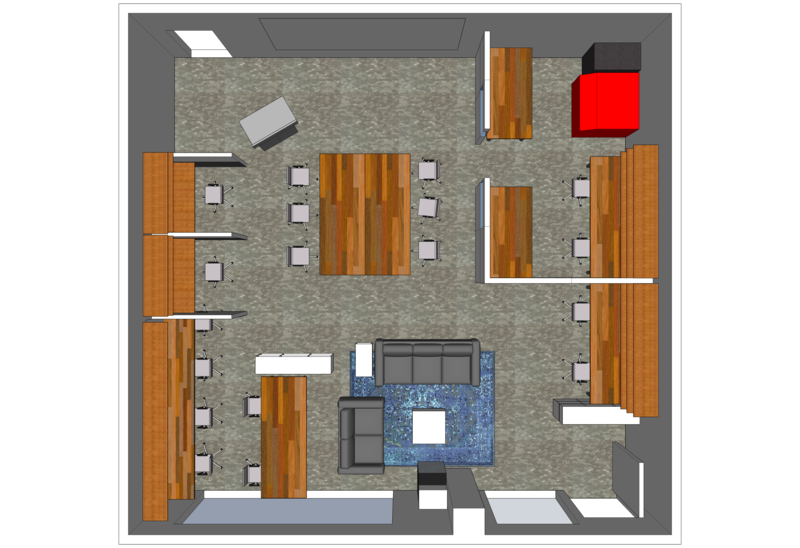 Overviews of the lab. The main entrance is to the lower right. A view of the café area from the door. 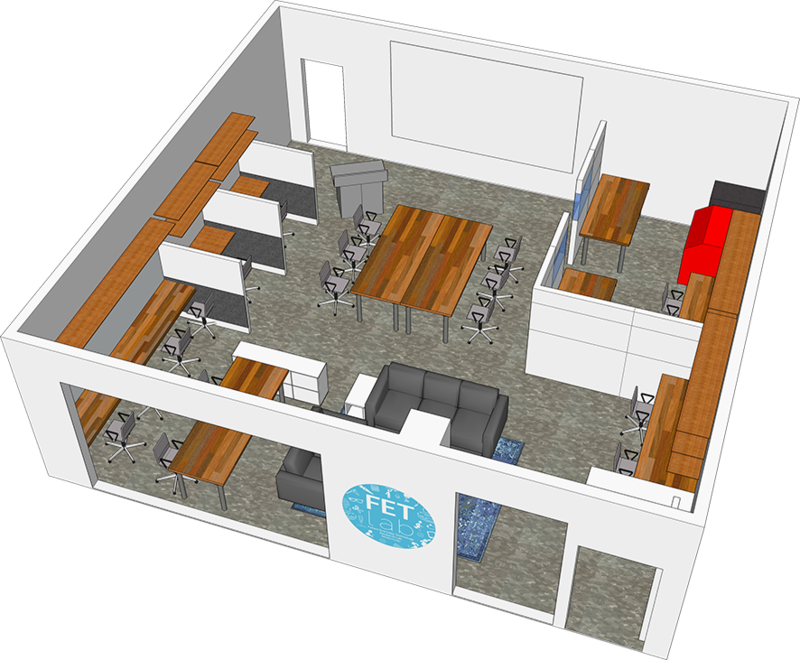 Another view of the café area. 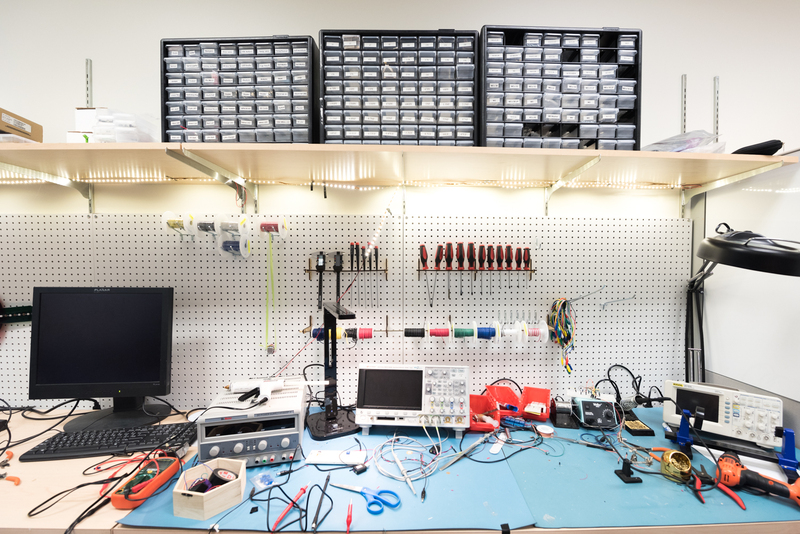 The enclosed machinery area with laser cutter, 3D printers, and various bits and parts. A view from the corner of the room. The outside of the lab, with four-foot logo!